Did you love art class as a kid? Do you use every inch of paper to doodle? Do you love visiting interesting museums and exhibits? Do you look at the design of a website or graphic and wonder how it was made? If so, becoming an arts major in college may be right up your alley. What is an arts major? An arts major in an interdisciplinary major, weaving together multiple academic subjects like art history, painting, sculpture and photography. Additional areas of study include subjects like the business of visual arts and art therapy. Before you start majoring in the visual arts, there are several important considerations to think about. Arts major don’t necessarily create art all the time, and there could be financial ramifications as well. Am I prepared for the financial costs of being an arts major, including paying for art supplies or traveling to museums or exhibits and paying fees for those? Am I okay with taking academic classes as well as art classes? Do I have a thick skin? Am I able to take and incorporate constructive criticism I receive from professors and peers? Am I prepared to spend much of my course of academic study alone working on my art? Do I enjoy spending a great deal of time visiting museums and exhibits and looking for inspiration elsewhere? What can I do with an arts degree? Just because you major in visual arts doesn’t necessarily mean you have to become a “starving artist,” creating your own exhibits and selling pieces. While that’s definitely a valid career option, there are other ways to make your arts degree applicable. Pursuing a career in visual arts isn’t necessarily known to be lucrative, and salaries vary wildly depending on where you live, what you do and how much work you take on at any given time. “Fine artists” like painters, sculptors and illustrators usually make starting salaries around $40,000-$60,000 if they have steady work, whereas people in other art-related careers may make more or less depending on the type of work and how consistent it is (for example, the average annual salary for a graphic designer is $41,000 a year while the average salary for a museum curator is $53,000). Next, learn more about this college major such as Computer Science and get more career tips for internships and entry-level jobs such as How to Get a Letter of Recommendation. Author wayupstudentPosted on August 3, 2017 June 29, 2018 Categories Guides by Industry & Major, ArtsTags underclassman, preparation, arts major, Business, college major, AdvertisingLeave a comment on What is an Arts Major and is it Right for Me? Author wayupstudentPosted on November 23, 2016 June 29, 2018 Categories Guides by Industry & Major, MarketingTags marketing major, postgrad, underclassman, senior, Advertising, Business, college majorLeave a comment on What Types of Skills Are Best for a Marketing Major? Before you dive in and start surveying populations, there are some things you need to know about becoming a sociology major. Here are the most important skills you’ll need in order to be successful in this major. Sociology requires a great deal of reading. As part of your major, you’ll have to read both original texts as well as critiques of ideas from other academics and people in the space. To be successful as a sociology major, you’ll have to not just read these texts but annotate and understand them as well. Additionally, sociology majors write plenty of reading responses, research papers and other reports, so you’ll need to have a clear and concise writing style to present your ideas. In sociology, you’ll be thinking and talking about complex problems that will require you to give serious critiques and arguments. Nothing in sociology should ever be taken at face value, so you’ll have to be sure to think critically in the classroom. While your introductory sociology classes may be lecture-style, as you take more and more classes, you’ll be in smaller classroom settings where you’ll have to present your ideas to a group of peers. The best sociology majors are those who come prepared for class, have thought about their ideas and arguments and can present them in a thoughtful and articulate manner. If you want to thrive in this major, strong communication skills are a must. Having strong research skills is also critical for sociology majors. Since sociology requires you to survey populations by creating your own experiments, understanding how to structure an experiment and write up the results is a key factor in being able to succeed in this major. Sociology classes often discuss a number of emotionally charged topics, from racial discrimination to family planning. Regardless of where you go to school, you’re guaranteed to find someone in a sociology class whose argument you find disagreeable or even offensive. Sociology majors need to be open-minded to the ideas of their peers to figure out what they came to those conclusions. But they also need to know when to pick their battles and the mediums through which to present their arguments. Next, learn more about this college major such as What is a Sociology Major and is It Right for Me? and get more career tips for internships and entry-level jobs such as Top 10 Things You Should Look For In An Internship. Author wayupstudentPosted on November 22, 2016 June 29, 2018 Categories Guides by Industry & Major, SociologyTags underclassman, sociology major, preparation, Advertising, college majorLeave a comment on What Types of Skills Are Best for a Sociology Major? A degree in marketing opens up a lot of exciting career opportunities in fields like public relations, consulting and sales. In fact, because of the broad range of the skills you’ll develop as a marketing major, you’ll be able to add value to almost any industry, a great position to be in when it comes to finding a career that’s right for you. From designing marketing campaigns focused on boosting the public profile of a certain brand to crafting engaging social media posts that will resonate with an audience, a career in marketing will give you a chance to apply the skills you learned during your major while simultaneously developing your knowledge of media trends and marketing strategies. And because there are many different kinds of marketing—such as brand marketing, content marketing and product marketing—you’ll be able to specialize in an area that really interests you. Public relations is another popular field for marketing majors. Focused on helping a company or individual develop their brand identity while also generating buzz around that brand, public relations is all about storytelling and it’s a wonderful opportunity to combine your knowledge of marketing with your sense of creativity. Working in sales will give you the opportunity to engage with customers directly, offering them the solutions they need to solve a particular problem while also making the most of the skills you developed as part of your major. A great way to apply your marketing knowledge in a hands-on way, sales is a natural fit for marketing majors who enjoy a client-facing role. From identifying a particular business problem to offering a creative solution, consulting offers marketing majors a chance to help companies approach their marketing challenges in an analytical and creative way. It’s also a wonderful opportunity to help clients create robust marketing campaigns that will increase their brand presence and their revenue. Another possible career path for marketing majors is product management. This involves managing the lifecycle of a particular product and being involved in key areas of development and marketing. As a product manager, you’ll be responsible for everything from creating a roadmap for the product to designing a marketing plan and forecasting the outcome of those efforts. Whether it’s exploring exciting opportunities within the marketing or public relations industries or helping consulting clients design effective marketing campaigns, being a marketing major can open a lot of different doors when it comes to your career. The best way to find your unique career path is to take on an internship and get a hands-on feel for a role that interests you. Next, learn more about this college major such as What is a Marketing Major and is it Right for Me? and get more career tips for internships and entry-level jobs such as 6 Ways to Impress Your New Boss. If you love figuring out what makes people tick and flexing your creative and analytical skills at the same time, then majoring in advertising could be perfect for you. At its simplest, advertising is about figuring out how to sell products and services to a specific demographic. You need to know who your audience is, their likes and dislikes and what will stand out to them above the plethora of other ads out there. Because of this, advertising requires an interesting mix of creative and quantitative skills. Here’s are some things to keep in mind if you’re considering an advertising major. What is an advertising major? An advertising major blends creative fields like art and design with more quantitative subject areas like psychology. Your course work has both; you’ll take classes like advertising copywriting, graphic design, consumer behavior, advertising sales and advertising research. If you’re still not sure if advertising is the way to go, here are some key questions to ask. Do I like figuring people out and understanding what makes them tick? Am I interested in sales? Do I like figuring out the best way to pitch and sell a product to consumers of any kind? Do I like communicating and working with others? Do I consider my interpersonal skills to be a strong suit? Am I able to take criticism and feedback from peers, professors and professionals well? Do I look forward to interning during college and gaining valuable work experience in the field? Am I able to think creatively as well as quantitatively, focusing on both creative campaign ideas and metrics? Am I just as interested in the ads in magazines, on TV, and on Snapchat as the content itself? Is an advertising major different from a marketing major? You might also be wondering how an advertising major differs from a marketing major. While both fall under most schools’ communications departments, they are typically treated as entirely different majors. What’s the biggest difference? Marketing is about every part of the process of creating and selling a product, from how the product is designed to how it’s packaged, sold and improved for further promotion. Advertising, in contrast, focuses mainly on promotion. What can I do with an advertising degree? What do people who majored in advertising earn? Advertising majors typically start off in the $35,000-$45,000 range after graduating from college, but people working in the field of advertising can make well over $160,000 once they’re in managerial and executive positions. Next, learn more about this college major such as Architecture and get more career tips for internships and entry-level jobs such as How to Become a Confident Public Speaker. Author wayupstudentPosted on August 10, 2016 June 29, 2018 Categories Guides by Industry & Major, AdvertisingTags Media & Communications, underclassman, Advertising, advertising major, college majorLeave a comment on What is an Advertising Major and is it Right for Me? Advertising may seem like it’s all about creating amazing ads, but there’s a lot more than goes into it than that. What sorts of skills will you need if you want to succeed in your college’s advertising major? 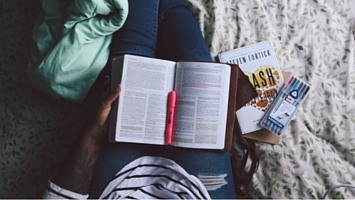 Here are the top six skills you need to have when embarking on this major. Above all, advertising is about being able to communicate thoughts, feelings and emotions to consumers through various mediums, whether that be a television commercial, a print ad in a magazine or a website banner ad. In addition, you’ll also have to be able to present your thoughts and findings to peers, professors and potentially even clients while in college, so having a strong knack for pitching ideas and explaining your thought process to others is crucial to your success as an advertising major. Do you have a knack for coming up with wacky ideas and finding outside-of-the-box ways to execute them? Advertising may be the perfect major for you. In your classes, you’ll be able to put your best ideas to the test, figuring out ways to take your concepts from brainstorm to full product. If coming up with ideas on the spot and tweaking them accordingly is something that thrills you, studying advertising in college is a great option. Because advertising is a mix of opinions and data, you’ll have to be able to take feedback from peers and professors alike when your idea needs to be tweaked or scrapped entirely. Advertising majors need to be able to run with any idea and also not get too fixated on a particular plan, as things change all the time. Think advertising is all about making interesting or funny graphics? Think again! Advertising majors not only learn the ins and outs of psychology and design, but they also need to be able to understand how to analyze and interpret data. For example, what does it mean if consumers are responding to a particular ad? How can that ad be made more effective? What does it mean if it isn’t effective? These are all key questions that need to be answered. Since advertising relies heavily on the ability to capitalize on trends, it’s important for advertising majors to be on top of things that are trending in the industry and in the news. In addition to being interested in the types of ad campaigns and news stories that are most engaging, advertising majors also need to have an understanding of why certain things work when others don’t. Advertising is all about solving two majors problems: First, what are you to convey to your audience, and how does that support or conflict with your audience’s desires? Second, how can you pivot your ideas depending on how your particular campaign is going? Advertising majors spend a lot of time discussing and working on these two problems across the board, so if you love tackling challenge after challenge, it’s a great major for you to consider. Next, learn more about this college major such as What is an Advertising Major and is it Right for Me? and get more career tips for internships and entry-level jobs such as Tell Me About Yourself. Author wayupstudentPosted on August 9, 2016 June 29, 2018 Categories Guides by Industry & Major, AdvertisingTags Media & Communications, underclassman, advertising major, Advertising, college majorLeave a comment on What Types of Skills Are Best for an Advertising Major? Despite the fact that advertising falls under the umbrella of marketing, it’s actually an incredibly flexible major that can open up all sorts of career opportunities in a variety of fields. Even better? They don’t all necessarily have to have a marketing focus. Since advertising is part of marketing, most advertising majors will end up in marketing-related roles once they get out into the workforce. Advertising majors can put their credentials to good use as account executives or media planners for a marketing agency, or they can work in more creative roles as art directors, copywriters or event planners. In fact, because of the substantial overlap between these two fields, advertising majors are able to fill almost all of the same roles as marketing majors. Many advertising majors have found success working for political campaigns and other initiatives surrounding candidates, causes and policies. Knowing how to market a person or cause to a particular demographic is vital in the world of politics, and your expertise will be wildly important if you choose to enter this field. Many of the skills you learn as an advertising major (figuring out what your audience wants and then designing and presenting a pitch that appeals to them through various platforms) can make you a dynamite member of any sales team. Whether you’re working as a sales representative, a sales operations team member or another role within this field, your advertising background will come in handy. Public relations is in the same wheelhouse as advertising and marketing, so it’s a natural fit for advertising majors who want to get into the world of publicity. Career options in this field include becoming a PR strategist or account executive, developing and executing strategies to boost a brand’s public presence. Depending on the type of role you choose, you could be working either at an agency or in-house at a particular company. If your advertising studies had a design component, you could find a successful career as a graphic designer or web designer. Your advertising background will also enable you to not only create beautiful designs but also understand the data and psychology behind why your work will resonate with a particular audience. Next, learn more about this college major such as What is an Advertising Major and is it Right for Me? and get more career tips for internships and entry-level jobs such as 7 Phone Interview Tips That Will Land You a Second Interview. If you’re a marketing or advertising major you’re likely thinking about your career path after graduation. To find out more about what it’s like to work in advertising, we visited the New York offices of McCann Worldgroup, one of the oldest and largest advertising agencies in the world and talked to Cristina Pansolini, one of the agency’s brand strategists. During our chat, Cristina shared her insights about the advertising world and offered some helpful tips for how students and recent grads can get started in the industry. Here are some of the things you need to know about working in advertising. What is an advertising agency? “All the ads and commercials you see have an advertising agency behind them,” Cristina explains.“The agency basically helps a brand decide how they want to look to consumers out in the world.” From brainstorming ideas to implementing campaigns, ad agencies are responsible for helping brands discover their unique value and put their best foot forward with consumers. What are all the different roles at an ad agency? According to Cristina, there are three main client-facing positions: account executives, brand strategists and creatives. Account executives are responsible for managing the day-to-day relationships with clients, including making sure that timelines and budgets are adhered to and that clients are happy with the results of their campaigns. Brand strategists like Cristina also interact with clients and they’re responsible for helping brands determine how they want to represent themselves to customers. “I help determine the strategy for brands to come to life,” Cristina explains, emphasizing that the process is all about taking ideas and executing them in an engaging, effective way. Lastly, there are creatives, the people responsible for writing engaging copy and designing graphics to capture a brand’s look and feel. Although each of these positions plays a unique role in how campaigns come to life, the interaction between them is what allows agencies to consistently deliver effective, creative solutions to their clients. What is the culture like at an ad agency? “It’s pretty casual,” Cristina explains, emphasizing that working at an ad agency is definitely not as fast-paced or exciting as a show like “Mad Men” makes it out to be. “There are definitely no suits and ties though a lot of people care about fashion and are trendy.” As far of the atmosphere of the office goes, that’s pretty fun and casual too. “Socializing is definitely big. We have a ping-pong table and a pool table. And it’s definitely very young. Even the older employees have a young spirit,” she says. How does a recent grad or college student get a job at an ad agency? According to Cristina, most advertising executives land their jobs by going the internship route. “I would say that 90% of the people who work here got in through an internship,” she says. The key is to find a good internship and then capitalize on the opportunity by working hard and going the extra mile. Pro Tip: Timing is also important. Ad agencies like McCann recruit full-time employees from their crop of summer interns and they make sure to hire interns who are recent graduates. “It’s kind of a trail run and they’ll be able to determine if they’re going to hire you by the end of the summer,” Cristina explains. Her advice: Take your internship seriously and make the most of every moment you have there. Working in advertising is an exciting chance to come up with creative ways for companies to connect with consumers. It’s also an opportunity to work as part of a dynamic team like the one at McCann. If you think a job in advertising might be for you, take Cristina’s advice and test it out by applying for relevant internships in the field. And who knows? One of them might just get you your dream job after graduation. Next, get more career tips for internships and entry-level jobs such as How to Write a Resume That Stands Out and find answers to common interview questions such as What Gets You Up in the Morning? If you’re an advertising major or a “Mad Men” fan, you may be wondering what it’s like to work at an ad agency. To find out, we visited the New York offices of McCann Worldgroup, one of the largest and most established advertising agencies in the world. While there, we sat down with Brand Strategist Cristina Pansolini to find out what an ad agency does and talk about some of the most common facts and myths of advertising. Here’s what it’s really like to work at an ad agency. Is working at an ad agency a fun and glamorous experience? According to Cristina, there’s definitely some truth to the “Mad Men” representation of the industry. “I would say the socialization is pretty accurate. Everyone’s hanging out all the time and there’s definitely a creative, fun vibe like there is on the show,” she says. This vibe helps the team come together to brainstorm and develop innovative campaigns for their clients. For a big agency like McCann, this means working on campaigns for clients of all sizes including corporations, startups and everything in between. How long does it take for a campaign to go from inception to implementation? Because each campaign is different, it’s important to distinguish the type of campaign you want to create before you can identify the timeline for implementation. Cristina explains that “A brand campaign (which is related to what the brand stands for) can take six months from start to finish.” This includes everything from establishing the look and feel of the brand to creating ads designed to increase the brand’s presence. Product and social campaigns however, are faster to develop. “A product campaign, which is a focus on something specific the brand sells, that can take three to four months to launch, and social campaigns can take anywhere from a week to three weeks,” Cristina says. How does the team brainstorm new campaigns? Brainstorming is one of the key parts of advertising and finding ways to do it effectively is really important. According to Cristina, a lot of what makes brainstorming such a fun process at McCann is the layout of the office itself. “We have whiteboards and corkboards across most of the walls and most of the meeting rooms. If inspiration strikes, we just start writing down ideas,” she explains. This makes the process a collaborative one and ensures that brand strategists and account executives are able to work through ideas and presentations as a team, coming up with the best possible solution for each client. How do you balance working on multiple accounts at once? One of the challenges of working for an ad agency is balancing multiple accounts at once while ensuring that senior leadership is happy with the results. “Most people work on two to three brands, depending on the size,” Cristina explains. Delivering successful campaigns is all about listening to what the client needs and being able to offer them solutions that will help them put their best foot forward with consumers. Although this may sound challenging, Cristina emphasizes that it’s been a great learning experience and one that has helped her learn the ins and out of the advertising industry very quickly. Working for an ad agency definitely has some glamorous perks but it’s also a great place to develop new skills and take on interesting challenges. If you think an ad agency job might be right for you, be sure to test it out by applying for paid and unpaid internships in the field. These roles will give you the hands-on experience you need to land your first entry-level job, and will help you determine whether an advertising job is a good fit for you. And who knows? You might just land a job at a great agency like McCann. Next, get more career tips for internships and entry-level jobs such as What is a Chronological Resume? and find answers to common interview questions such as If I Asked Your Friends to Describe You, What Would They Say? Author wayupstudentPosted on August 6, 2016 June 29, 2018 Categories Guides by Industry & Major, AdvertisingTags Media & Communications, postgrad, underclassman, senior, advertising major, Business, entry-level job, full-time job, AdvertisingLeave a comment on What is it Like to Work at an Ad Agency?